A few edge dents near spine, no markings. jacket has some rippling and edge crinkling. 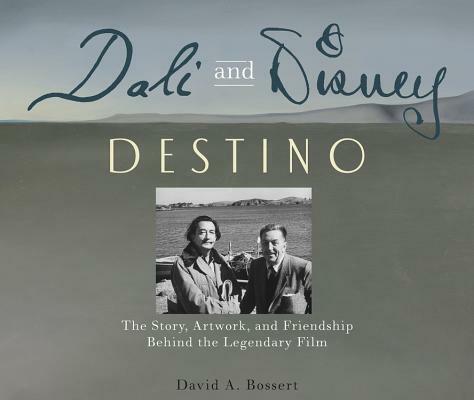 Detailed illustrated history of a collaboration between Salvador Dali, the surrealist artist, and John Hench, a Disney studio artist. They started a project in 1946 to produce a 7-minute animated film about the Greek god Chronos falling in love with Dahlia, a mortal. The project was laid aside because of financial problems, but revived years later and released in 2003. The film has been shown at some Dali exhibitions and museums, but not widely distributed. Numerous Dali paintings and sketches included. Index. Horizontal format -- 11.25 in by 9.25 in. Author Name: Bossert, David A.
Keywords: FILM. Art. Animation. Disney. Dali. Cinema.